Poland is located at the heart of the European continent, and with the population of about 38,5 mln is one of its largest countries. The history of Poland started over 1000 years ago when the Polish king in 966 made his land Christian. Polish people are proud of their long history, the Kings, arts, literature. Christian heritage is strong in Poland and many Poles still like to recall the old adage that Poland is the Bulwark of Christendom in Europe. After hundreds of years of history, Poland keeps its Christian heritage and finds itself under secular, atheistic and raising Islamic influences from Western Europe. 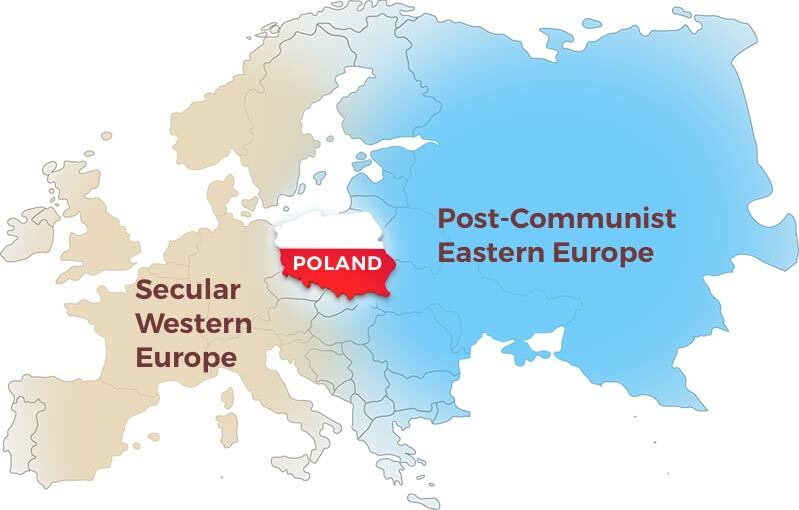 Also, the Polish nation which suffered a lot from totalitarian, ungodly regimes – Nazi Germany and Communist Russia – is especially sensitive to the situation in Eastern Europe and remembering its history – the dark, overpowering communist and atheist regimes – wants to remind European countries that future can be built only on Christian values. 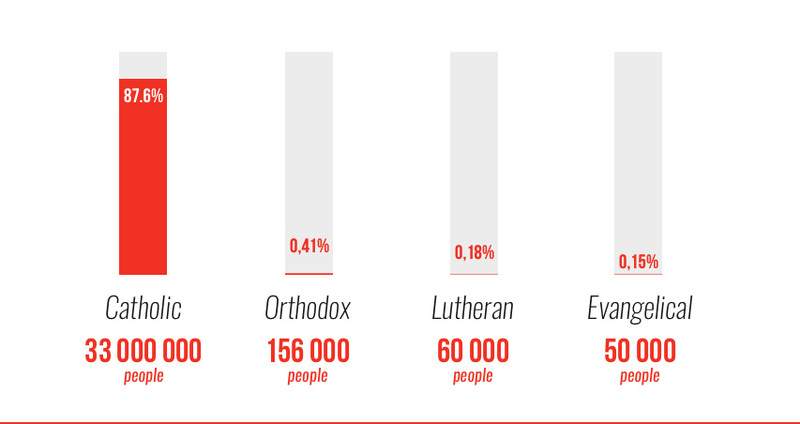 However, the need to proclaim the Gospel has never been more urgent than nowadays. On one hand, as more and more people are becoming influenced by the Western secularisation, the Gospel message of God’s love, hope and grace needs to be proclaimed boldly and in a fresh way, through TV and other media. On the other hand, millions of Poles are in a desperate need of discovering Christian faith not only as a cultivation of a past tradition but a personal, living experience of the power of the Gospel of Jesus Christ and the Holy Spirit. Poland was one of the first countries in the world  to establish its constitution, and the first European country to follow the U.S.
Jagiellonian University, established in 1364,  is one of the oldest universities in the world. Polish national anthem was written and first performed as a song in Italy. Polonia, the Polish diaspora, amounts to 20 mln around the world. HOW CAN I PARTNER WITH TBN IN POLAND? We are excited by your interest in partnering with us – together we can do something NEW & BIG for the sake of the Gospel and Christ's glory in Poland and Europe. Praying for a spiritual revival in Poland and Europe.